We help our members achieve their specific fitness goals through our Cardio Kickboxing based fitness classes. Our workout areas are newly designed and specifically designed to meet the needs of our team members. Everything about our gym facilities is top-of-the-line quality. This well-lighted, spacious space will make you feel comfortable while you push your limits. 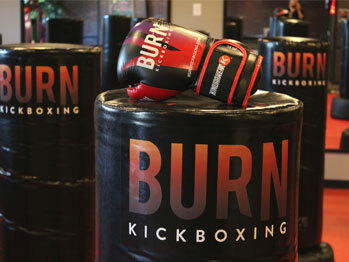 You’ll feel the heat with a killer Cardio Kickboxing workout that will push you to your limits! When you step into our well-equipped workout space, you’ll be rearing to go! We also incorporate other equipment into our classes… everything from Wavemaster bags, weights, resistance bands, and pads, etc. Before a fat-burning, body sculpting class, you’ll want to change into your workout gear, pull your hair back and whatever other grooming routines you have before working out. 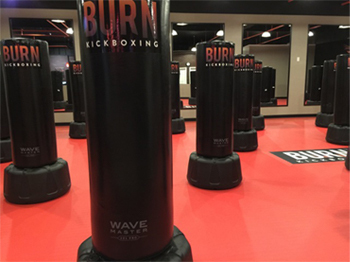 After the class you’ll want refrsh, change into your street clothes and maybe connect with other Burn Kickboxing team members! Our facility is sleek, modern, and clean. Private changing rooms, updated locker rooms with granite countertops, hair dryers, vanity areas, and designer wood lockers. Check out our Facebook Fan Page! 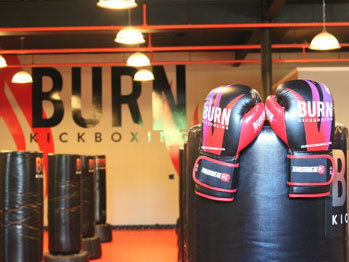 Join the Burn Kickboxing Team, join the fun!